As we recently reported, the National Highway Transportation Safety Administration (NHTSA) is now doing more to keep track of distraction-related car accidents in Massachusetts and elsewhere. These types of accidents continue to increase as more and more electronic devices become available to drivers. The NHTSA reports that there was a significant increase in the number of accidents involving text messaging drivers from 2009 to 2010. The number of accidents involving cell phone-using drivers stayed about the same. Much of this data was collected from the National Occupant Protection Use Survey (NOPUS). This Survey is the only data collection effort that measures just how often drivers engage in behavior with electronic devices at the wheel. The National Center for Statistics conducts this survey every year. The number of drivers who were witnessed to use a cell phone while driving remained at 5 percent from 2009 to 2010. This means that more than 650,000 drivers are using a hand-held cell phone at any given moment. It also means that nearly 10 percent of drivers are using either a hand-held phone or a hands-free phone at any given moment. Our Massachusetts car accident attorneys understand that approximately 3,100 people died in 2010 because of distraction-related car accidents. According to the new survey, drivers age 16- to 24-years-old are most likely to use one of these devices at the wheel. Drivers over the age of 70 are least likely to engage in this behavior. Regardless of your age, you’re urged to halt all distractions while driving and to be cautious for distracted drivers on our roadways. -The number increased significantly from 2009 to 2010. -The increase occurred among drivers age 16- to 24-years old, female drivers, drivers of pickup trucks and passenger car, white drivers, drivers in the vehicle alone and drivers traveling during the weekdays. -The most significant increase was witnessed among our younger drivers. -Five percent say they place calls while driving on all trips. -Ten percent say they place calls on most trips. -More than 25 percent say they place calls on some driving trips. -More than 65 percent say they answer and drive. -Nearly 10 percent say they will answer and then pull over. 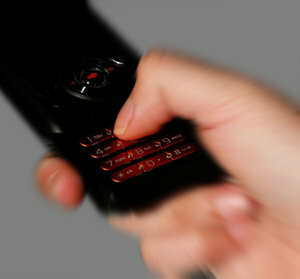 -About 12 percent say that they will answer and will call back. -About 3 percent say that they will pull over and then answer the phone. -Less than 10 percent say that they will hand the phone to a passenger to answer. -Most people answer while driving. Close to half of these people admit to holding the phone while driving. -Less that 20 percent say that they use a hands-free device to talk while driving. -Less than 10 percent say that they have a built-in car system used for phone calls. -Less that 20 percent say that they use the cell phone speakers. The Law Offices of Jeffrey S. Glassman, LLC are an experienced and dedicated team of traffic accident lawyers that offer free consultations to injured victims and victims’ families that have been involved in Massachusetts car accidents. Call 1-877-617-5333 to speak to someone about your claim today.